Every single year, 30 000 people living along the Indo-Nepal border are at risk due to floods. These floods are not natural, but take place because constructions on the Indian side of the border obstruct the natural flow of the Rapti river. 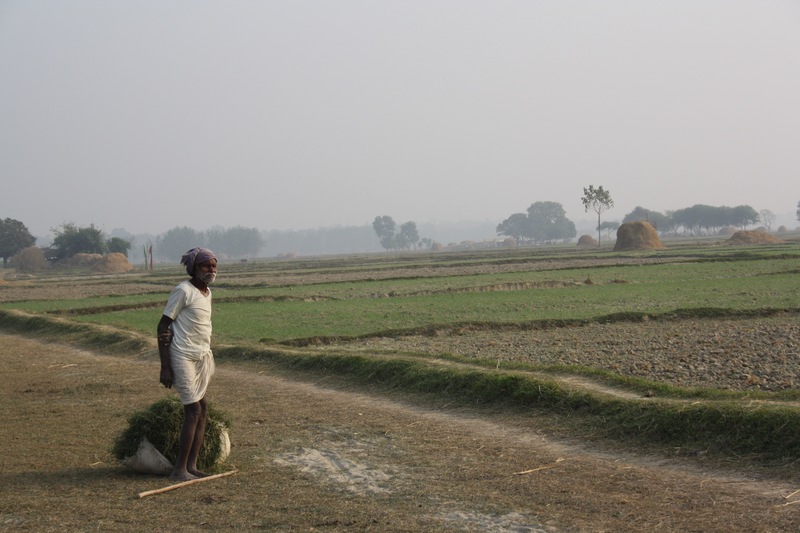 Crops are washed away, populations are displaced, and water is contaminated when the Rapti river floods the lands of affected groups on both sides of the border. Delegates from FIAN in Norway, Germany, Nepal and India visited the border districts of Banke and Kanchanpur south in Nepal, and Sravasti and Bahraich in northern India, the last week of Novemer 2016. The major focus of the research was on extra-territorial state obligations, in particular with regards to the Laxmanpur dam and Kalkalwa afflux that are both built for irrigation purposes, as well as the Dhudwa National Park – situated in India – which also affects people across the border in Nepal. In the latter case, elephants from the national park cross the border and destroy homes and livelihoods in Nepal. Concerns were also raised about whether the on-going construction of India’s border security road would further exacerbate the flooding and indudation that take place every year. 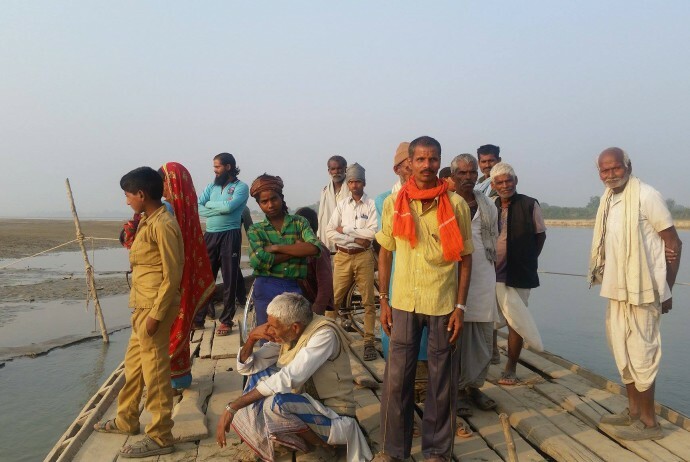 Due to these man-made constructions, 30 000 people along the river are subjected to severe flooding of the Rapti river, which originates in Nepal and flows into India. The devastating results of the flooding include loss of human and animal lives and the damaging of property, crops, and harvested grains, often along with total erosion of agricultural lands as well as destruction of houses. Measures to safeguard the affected communities, to prevent inundation, as well as compensation and rehabilitation, are not adequate according to reports collected during the visit. Both Nepal and India are State parties to the International Covenant on Economic, Social and Cultural Rights and therefore obliged to respect, protect and fulfil the right to adequate food within and beyond their borders. The Government of Nepal is obligated to ensure the safety of its citizens and to provide them with adequate housing, access to proper livelihood opportunities, and access to sufficient and adequate food and water. The failure to act does not only violate existing national law – e.g. the Natural Calamity Relief Act of 1982, but also the Nepalese constitution, which states that “every citizen has the right to food sovereignty as provided for in the law” (Art.18, 3). In addition, the Government of Nepal has failed to secure the safety of its citizens by not effectively coordinating with and urging the Indian Government to comply with the treaties and agreements between the two countries. India needs to take measures to ensure that its actions do not harm those in the nearby region in Nepal. By the same token, the Government of India has violated the right to adequate food, as States are obliged to respect, protect, and fulfill the right to food of people living under their jurisdiction. This applies even if citizens are located beyond the borders of their territory, as laid down in the Maastricht Principles on Extraterritorial Obligations of States in the Area of Economic, Social and Cultural Rights (2012). FIAN will continue the dialogue with the authorities in Nepal and India, so that urgently required safeguard measures are put in place as soon as possible. This would include the construction of a permanent embankment on both sides of Rapti river – covering a length of 28 km – to protect land and villages, compensation and special livelihood support, as well as resettlement and rehabilitation for those displaced. Read more about extra-territorial obligations here!